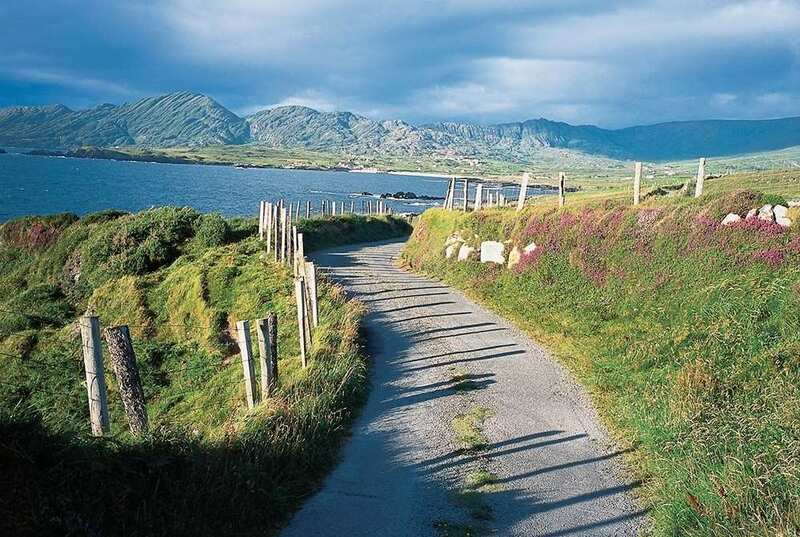 Explore Beara Way at your own pace on a full-length self-guided walking holiday. Accommodation, luggage transfer and custom holiday pack included. 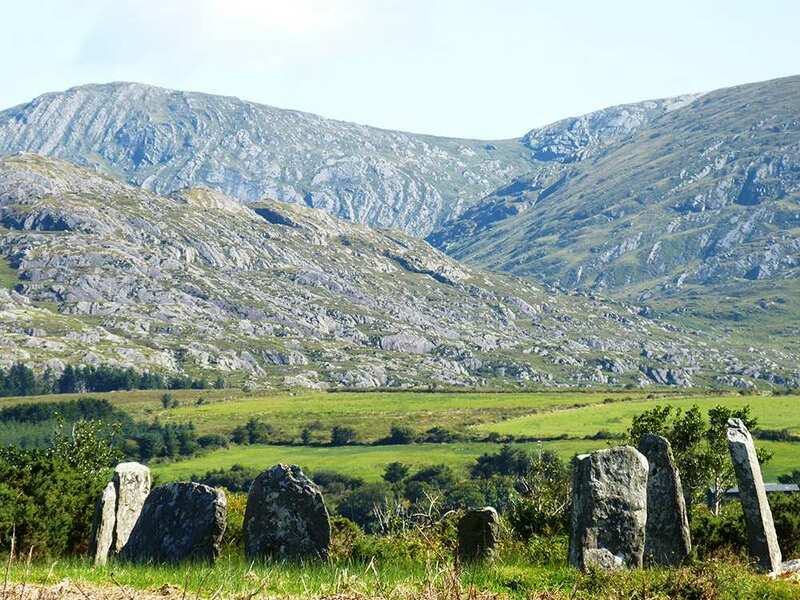 A self-guided walking holiday around the rugged Beara Peninsula from Glengariff to Kenmare. 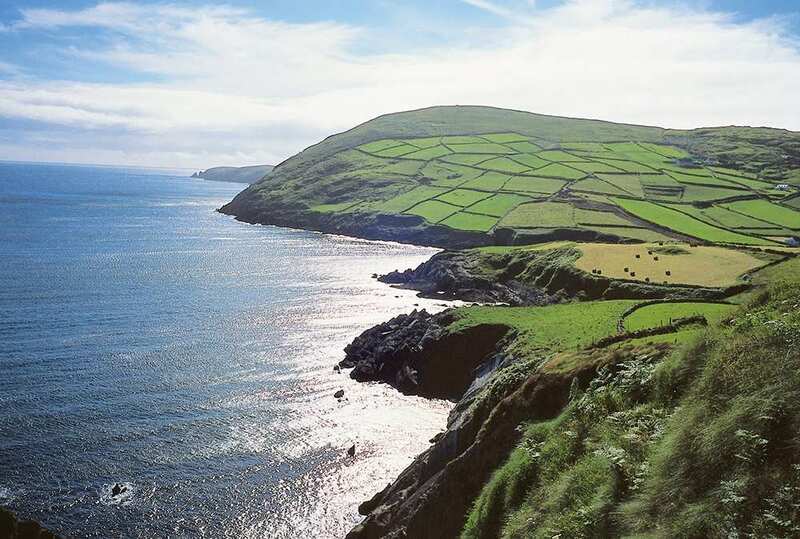 This wonderful Irish walk departs from the heart of West Cork and circles the Beara Peninsula along a coastline surrounded by incredible panoramas over mountains and sea. 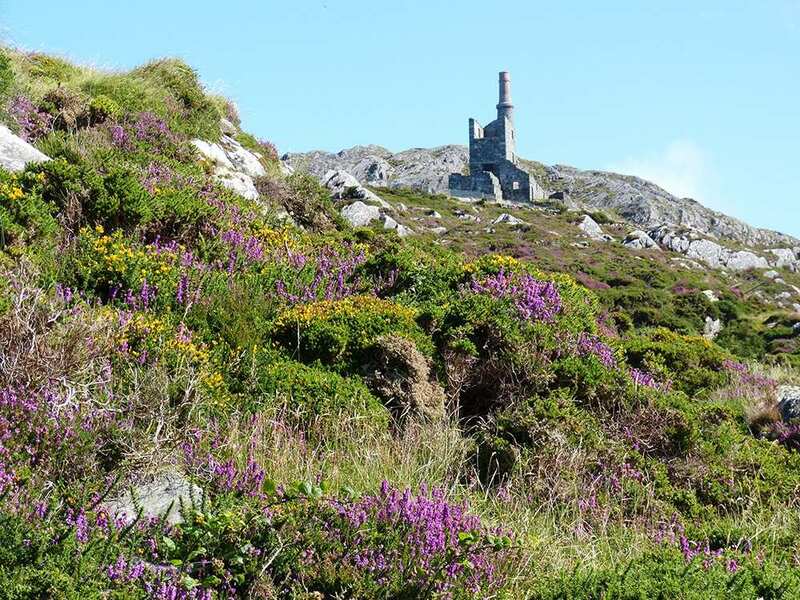 Forays into the peninsula’s rugged interior on ancient tracks reveal a mountainous, uninhabited expanse of rock, while trips across to Dursey Island and Bere Island add still more stunning scenery alive with birdlife. 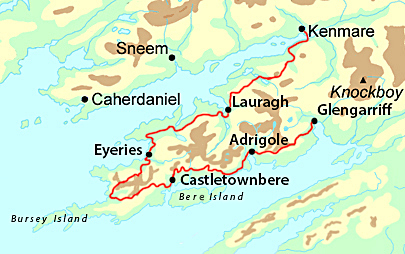 This trail winds through Castletownbere and Allihies to the tip of the peninsula at Dursey Sound, and then heads east along Kenmare Bay through Eyeries and Lauragh, with a final night in Kenmare itself. Walking around the beautiful Bantry Bay, the world’s second deepest bay. Discovering the rich mythology of the area, including tales of the Hag of Beara and the Children of Lír. Visiting the colourful village of Eyeries and Allihies, with houses painted in shades of every colour. Due to a lack of accommodation in Adrigole you will be accommodated in Glengarriff. Transport is provided to take you from Adrigole to your accommodation and return you to the path the following morning. Due to a lack of accommodation in Bere Island you will be accommodated in Castletownbere. Transport is provided to take you from Bere Island to your accommodation and return you to the path the following morning. For those who love gardens, Glengariff offers the opportunity to see the beautiful Garinish Island with its ornate Italian Gardens. An extra night in Castletownbere gives you the opportunity to explore the historic Dunboy Castle or visit a Tibetan meditation centre. Kenmare is a heritage town, and famous for its lace making and offers some wonderful walks, sea trips or just enjoy the town and it's lovely array of restaurants ad shops. By Air - The most convenient major cities and international airports are Cork and Kerry. There is a railway station a short trip away from Kerry Airport. Buses run between the Cork Airport and the centre of Cork, where the main train station is. By Rail - The nearest railway station to the start of the trail at Glengarriff, is Killarney, about 38 miles away. Killarney is also the nearest railway station to the end of the trail at Kenmare, and is about 20 miles away. By Bus - No there are no bus services between Killarney and Glengariff, so you would need to take a taxi. From Dublin - There is a train service between Dublin and Killarney. You would need to take a bus or taxi to complete your journey to the start/from the end of the trail. Buses run between the centre of Dublin and Dublin Airport. Return to Start - There are no viable public transport options, so you would need to take a taxi.